New Profit’s grantee-partner Roca Inc. is at the forefront of efforts to reform America’s criminal justice system, which could reverberate powerfully across nearly every other social challenge we face as a nation. Roca is combatting prison recidivism by helping high-risk young people build skills and rebuild their lives, and setting an example for service providers across the country. The report demonstrates how policymakers have started to translate the new science to policy innovations, and new programs for young adults have been established across the country. The report dives into ten current initiatives and programs that are utilizing innovative and evidence-based policies and interventions for young adults. 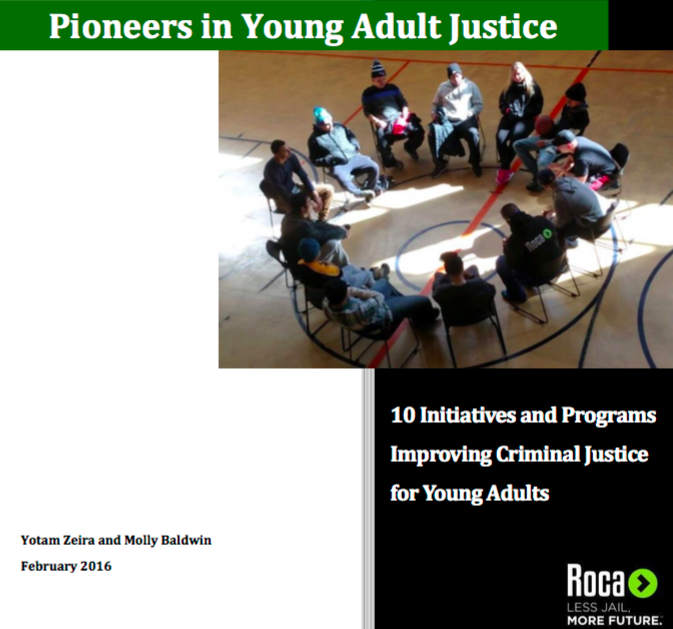 Roca hopes it will serve as an invitation to draw inspiration from policies and programs which identify the unique risks and needs of justice-involved young adults and work to address them. We have laid out a skim sheet of Roca’s list of ten inspiring initiatives. We hope you will join us in the young adult justice movement and share them with your network. While specialty courts are already common in drug and mental health cases, a similar problem solving approach can be adopted for young adults. This court handles exclusively cases of 18-25 year olds in various risk levels, collaborating with the DA’s office, public defense, probation, youth services, public health services, and the police. Successful completion of the Young Adult Court program may lead to various results, including case dismissal, sealing of arrests, reduction from felony plea to misdemeanor conviction, shortened probation terms and dismissal of fees and fines. These court sessions are within traditional adult courts, but are dedicated to young adults who have committed nonviolent offenses or are first time offenders. Programs will offer intensive supervision by assigned probation officers, along with periodic case reviews by the presiding judge, as an alternative to incarceration. Young adults who demonstrate progress may be rewarded with steps like removal of their conditions of probation, reduced charges, or the dismissal of their cases. Early on in the process, judges or prosecutors ascertain whether juvenile or adult law should apply. As young adults vary in their level of maturity, some jurisdictions allow for a case-by-case approach. It is typically based on a probation report regarding the young person’s emotional, cognitive and social maturity. By doing so, the prosecution puts charges in the right context, and enables judges to make an informed decision regarding the law that will apply. Some justice systems revise sentencing guidelines factor in the offender’s maturity level at the time of offense. In Germany, this is done through a flexible, case-by-case approach. In Austria, it takes the shape of a general mitigating factor regarding offenders in their earlier years of adulthood, prescribing lower sentences to individuals under the age of 21. Probation officers play a key role in many criminally-involved young adult’s lives. In these programs, assigned probation officers specialize in young adults and provide age-responsive services to help young adults redirect their lives. Young adult correctional facilities are separate prisons for young adults with emphasis on rehabilitation and future employment. Juveniles have long been held in separate facilities, and it may be the case that the same rationale that applies in juvenile cases – protecting young people from deeper engagement in crime – should be adopted for 17-24 year olds. Facilities with extended programs on life skills, education and future employment, promise a better path for successful reentry. London T2A Project, St Giles Trust, U.K.
Young offenders released from jail often return to the same social environment they left before the offense: same neighborhood, same gangs, and the same employment and education barriers. Intervention at critical points could help prevent this systemic problem by mentoring young adults prior to, during and after release. Criminal records are a heavy burden on young adults’ rehabilitation - especially in finding jobs, post-secondary education, and public benefits and housing. “Second chance” laws can limit these collateral consequences by avoiding convictions that will damage young people’s records, shortening record sealing periods, and allowing case expungement for young adults. Cardiff Integrated Offender Management Y2A Service, U.K. The transition from adolescence to adulthood is confusing not only for young people, but also for the various institutions and systems handling their cases. The lack of transfer procedures and information exchange protocols leads to loss of critical information, so young offenders often fall through the cracks and miss services that could have helped them desist from crime. The lack of data on young adults in the justice system is present also in a systemwide level: national reports on the justice system fail to provide numbers of young adult crime, cases, incarceration and recidivism rates, and state-level open access to information is scarce. Effective change requires more program evaluation and more accessible data on young adults. 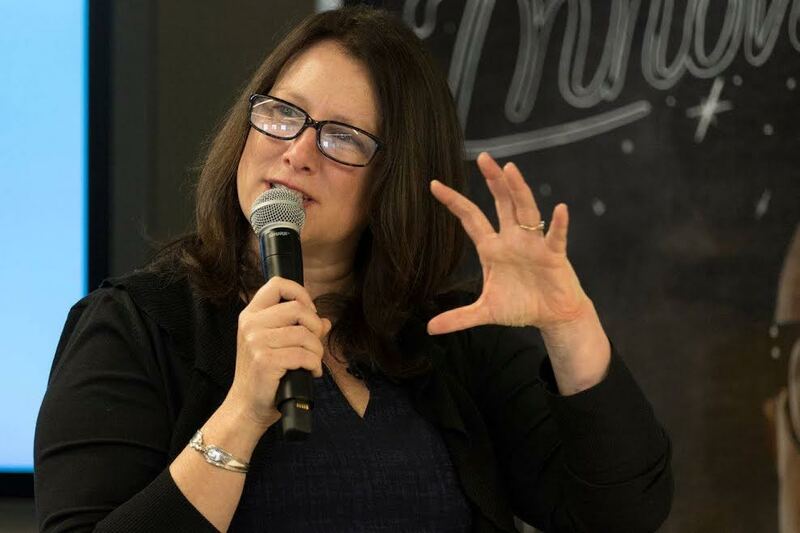 Clear data also invites innovative public funding schemes like Pay for Success, which allow solutions that were developed in the nonprofit sector to evolve into a viable systemic change model. Reforming America’s criminal justice system and advancing efforts to break cycles of incarceration in low-income communities would positively impact almost every other social challenge we face, from education to workforce development and public health. In particular, these efforts could improve opportunities for young men of color, who are disproportionately represented in the prison system and painfully absent from their families and communities. With organizations like Roca and the ten above, we can begin to enact wide scale change in criminal justice. In January, New Profit made its first major investment in an anti-recidivism program through a unique “Pay for Success” deal in Massachusetts. The Massachusetts Juvenile Justice Pay for Success Initiative (MAPFS) aims to combat prison recidivism, one of the rustiest gears in the poverty cycle, by expanding the work of Roca Inc., a Boston-based organization that has had notable success keeping young people out of jail and helping them get their lives on track. New Profit is proud to support Roca and the Pay for Success approach. Our policy arm, America Forward, has been a leading champion of Pay for Success in Washington, where bipartisan policymakers have begun to rally around it as a way to get better results from social service programs. To read more about our work with Pay for Success click here.